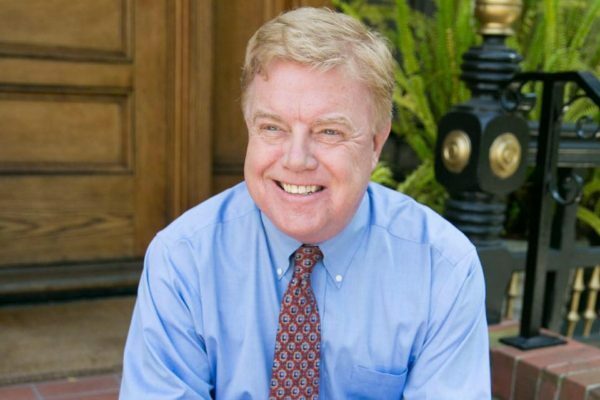 Richard A. Moran is a San Francisco based business leader, workplace pundit, bestselling author, venture capitalist and CEO of Frost & Sullivan. He is best known for his series of humorous business books beginning with bestselling, Never Confuse a Memo with Reality and is credited with starting the genre of "Business Bullet Books." Posted April 15th, 2007 by Richard Moran. First, let me proclaim my total reliance on my cell phone. I used to check to make sure my wallet was in my pocket, now I check to make sure my phone is in there. So when I ask the question, “Who are they talking to?”, it is not from a perspective of cell phones are a blight on the universe. Rather the question is posed more out of real curiosity. My wife and I attended a concert not long ago. It was romantic and mellow with young couples all around us. At every break in the action the couple in front of us each took out a cell phone. Rather than talking to each other, they dialed, put the phone to their ear and ignored each other. When the music started again, they put the phones away, held hands and listened raptly. Who were they talking to? Who better is there to talk to than each other? I can’t imagine. Any date, any occasion has a rhthm that can’t stand the interruptus of the constant phone calls. While jogging on one of best trails in the Bay Area, I came up behind two fellow joggers in the journey of life. It looked like two friends enjoying a solid sweat together. We were headed in the same direction and as I passed the two women I overheard each of them talking on their cell phones. Not to each other I presume. Who are they talking to? Rather than enjoying the fresh air with a friend and chatting about the exercise, the weather, what’s new, ANYTHING, they are talking to someone who is not “present”. Taxi drivers present their own mysterious question. In every taxi I’ve been in lately, the driver is engaged in a sultry and mysterious discussion with someone on the cell phone. No, it’s not the dispatcher. It is someone who understands exotic languages and can decipher the mumblings. They can engage in this mystery chat for a seemingly endless time; or at least as long as I am in the cab. Who are they talking to? Is it a mistress and the driver is proclaiming his love? Is he calling his brother asking for directions? Is it his broker relaying the tips from the previous customer? Who knows, but it is not me. I talk on my cell all the time. I call my Mother on it. I talk on it while I am driving. I talk on it while I am walking around. I still don’t talk on it when I am on a date or jogging. OK, I do talk on it while I am in the back of a taxi. Why not? The driver won’t notice. Posted April 10th, 2007 by Richard Moran. While stuck in the airport recently, I was surrounded in the waiting area by young investment bankers trying to log on and find a wireless connection. There was desperation in their clicking on the keyboard; there was panic in the constant rejections from the Starbucks that were not in the neighborhood; there was elation when someone figured it out and could access their email. Others were pounding away at their Blackberry and scrolling and peeking. As I listened to the follow-on chatter of the messages, the talk was not about the deals they were doing. They were just checking to see what was in their in-box, hoping for surprises and good news. There was nothing in the queue that couldn’t wait but they had to check. They were addicted. Posted February 22nd, 2007 by Richard Moran. The traffic never seems to change, it never gets better. We are all in our cars too much and the car has become the workplace that serves us between home and the cubicle. It is not the place to listen to old time rock and roll. It is a new place to work. The car is the place we reserve for returned calls or for the calls we couldn’t make during the day. While I was driving along today a BMW convertible passed me going 80MPH. The convertible top was down and driver was on the phone. I can only imagine what that connection was like. Next time you are stuck in traffic take a look around, you will see people on their phones, sending messages on their blackberries, taking notes to themselves, reading the Wall Street Journal and yelling at someone who probably missed a deadline. But none of this is news to anyone who has been on the highway lately. What is news, and it is not good, is that the car has also become the company cafeteria.